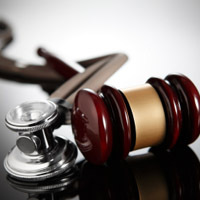 Medical Malpractice – The husband of a woman being treated in an in-patient substance abuse program sued the hospital when he learned that his wife began an affair with one of the medical doctors that treated her. The affair allegedly began during the wife’s in-patient program. Our experts, hired by the husband’s attorneys, performed extensive analysis of computers and smart phones, uncovering electronic evidence related to text messages that was instrumental in a large settlement with the hospital’s insurance company.